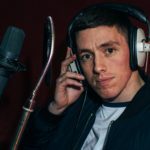 We had the pleasure of catching up with talented Dublin songwriter Kevin Casey again recently. After a busy year of touring since our last interview on Magnolia Road, it’s been a break through period for Kevin. Shows throughout Germany, a mix of top Irish festivals over the summer, not to mention landing a new record label. The band are getting ready to make their return to the Sound House next month for a huge homecoming show. Two other Dublin acts will be supporting on the night, indie a.. This week, we caught up with Dublin singer-songwriter, Kevin Casey. 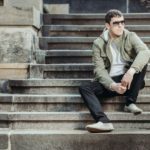 Having played 1,200 shows with former band Jaker, Kevin recently took on the challenge of creating his own sound in a new solo career. That sound has been described as somewhere between Whiskeytown, Elton John, Springsteen and Oasis. Performances to date have embodied a dynamic charisma and natural melodic ability, leaving audiences hungry for more. 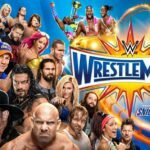 Kevin and the band are gearing up for their massive album launch next Saturday,�..
30 years ago, Wrestlemania catapulted itself into the stratosphere of sports entertainment by breaking a then record of holding over 93,000 fans in the Pontiac Silverdome to see ‘The Irresistible Force’ take on ‘The Immovable Object’. During the show’s main event, fans witnessed history as Hulk Hogan scooped up Andre the Giant and hit his great nemesis with a 525 pound earth shattering slam that was heard around the world. Despite it being billed as the biggest main.. Rating What makes a good music venue these days? A dynamic atmosphere, quality DJ’s, sound staff, cheap booze and perhaps most importantly a place that doesn’t require you to show up at the door in any sort of made-to-measure elegant attire. 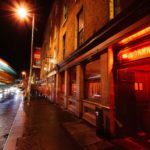 Well if you’re looking for a taste of all of the above, most people will tell you that you are bang out of luck and are asking too much of one venue, given the variety of clubs and bars that Dublin has to offer for differing desires. With the Workman�.. This weekend marked the 9th consecutive win for newly promoted Bundesliga side RB Leipzig, a record which no team in the Premier League, La Liga, Serie A, Ligue 1 or the Eredivisie has been able to match this season. Die Roten Bullen, also known as the Red Bulls, beat Schalke in an exciting encounter at the Red Bull Arena on Saturday evening to go top of the table; they now stand 3 points clear of last year’s champions Bayern Munich. 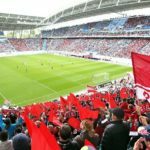 So Who Are RB Leipzig? The club was founded on the 19th of .. Web Summit 2016 – Bigger or Better? 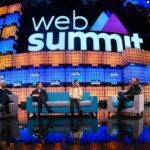 The 2016 Web Summit has finished and the dust is just about settling on what is largely considered to be the years biggest annual tech conference around the world. The event, now in its seventh year has been referred to as the “Glastonbury for geeks”, boasted a powerful lineup of sports stars and celebrities from Ronaldinho to Joseph Gordon-Levitt. As you can imagine, an event of this magnitude has developed quite the fan base with over 53,000 attendees represented by 15,000 companies, all o.. The North London derby is a classic in English football that always delivers on thrills, spills, controversy, big decisions and cards, oh how we love a few cards between these cockney heavyweights. 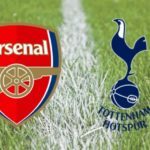 History Of The North London Derby The derby has been in existence for 120 years, with Arsenal first winning the contest one nil way back in 1896. Some say the rivalry really started when Arsenal moved to Highbury, a stadium which was only a stone’s throw from White Hart Lane (albeit a fine 4 mile th.. 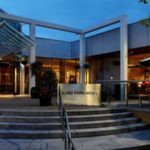 Rating Sligo Park Hotel The Sligo Park Hotel is right along the Wild Atlantic Way on the west coast of Ireland and is a perfect retreat for a romantic getaway, a short business stopover or even a family break. 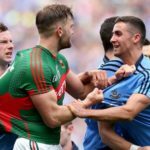 If travelling across the country from Dublin or coming from North or South you are sure to be drawn in by the beautiful scenic sights along the trip to the hotel which is located right on the outskirts of Sligo town. There is ample parking available outside of the hotel so no need t..